Singapore - S2 Games' Heroes of Newerth has been included as one of the official games in the World Cyber Games Singapore 2011 event. 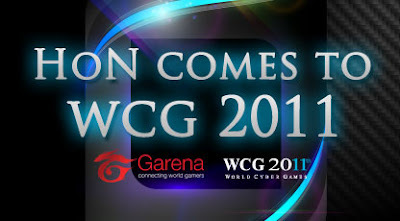 National HoN teams from Singapore, Malaysia, Vietnam, Thailand and the Philippines will battle it out for the WCG Singapore 2011 championship. Qualifying rounds will be held in each participating country to determine their representatives. Qualified teams will have all their travel expenses shouldered by Garena HoN.